Don’t let your cart abandonment rate be like the percentage of an iceberg underwater with 90% of carts abandoned. Unfortunately, this is not far from the norm. This rate of online shopping cart abandonment highlights the importance of having a strategy in place to recover and encourage customers to complete their transactions. Why is the Shopping Cart Abandoned? Consumers today are more than willing to navigate your app all the way to check out, but for some reason, decide otherwise at the last minute. This is like standing in line, letting the clerk scan all your items, and then running away at the last second. So what is driving users to behave like this? Is it an irrational fear of making purchases? Not likely. Actually, 17% of people report simply not being ready to buy. This could mean they are still researching the purchase to compare product quality, features, and price with other vendors. They could also just be contemplating the risks and rewards associated with purchasing. A combined 29% of people reported shipping prices and options as the reasons why they abandon their carts. Price sensitivity is nothing new. In fact, 8% of people abandon carts in search of a coupon or other discount. State of the Cart: How are Abandoned Carts Being Handled? Most marketers think a single email is enough to bring customers back and solve whatever problem led them to abandon their cart in the first place. There are some flaws with this argument. Often times, the customer has yet to provide their email address before abandoning the cart. Or perhaps providing an email address was the reason they abandoned the cart in the first place, which makes it unlikely they will be receptive to your cart recovery email. If the cart was abandoned on a mobile app, mobile marketers have more options available to re-engage users: push notifications, in-app messages, app icon badges, email, and more. Since mobile marketers are typically in a constant struggle to keep users engaged and coming back to the app, how have these experiences prepared them to recover an abandoned cart? Mobile marketers are endurance athletes. The track to long-term retention is like running a marathon mixed with hurdling. The first hurdle is the app install and from then on it’s a precarious path of engagement and retention. 77% of mobile app churn occurs within the first 3 days of download. This number is strikingly similar to the rate of mobile cart abandonment. On the surface, it may seem that dealing with a growing churn rate should be the mobile marketer’s main focus. A deeper look into customer segmentation statistics such as RFM analysis might tell a different story. Your analysis might uncover that the rise in cart abandonment is coming from your loyal customers or champions, who on average bring in the most revenue compared to other segments. Meanwhile, the users that are uninstalling the app have been hibernating, or have not used the app for some time, and their average monetary value is negligible. In this situation, engagement and retention efforts to recover shopping carts would be more important to the business than re-engaging hibernating users with a high risk of churn. A mobile marketer’s modus operandi for preventing churn and re-engaging lost users should be applied to abandoned carts as well. Are Abandoned Carts Costing You More Than Money? As more carts are abandoned and users lose interest in the app’s product or service, they no longer tell their friends. This impacts your net promoter score and your app’s subsequent viral coefficient. This, in turn, drives up customer acquisition costs and puts pressure on the financial well-being of the business. Perhaps the reason people are abandoning the cart is your shipping policy, check out process, or simply prices. Whatever it may be, the user experience is suffering. This can result in negative social media attention or a surge in customer support tickets. 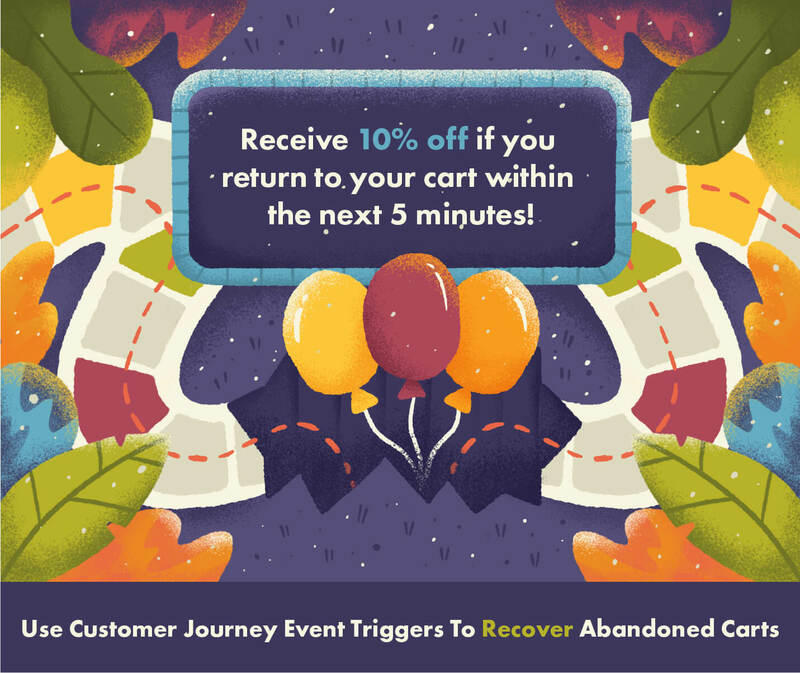 Now that you understand the trickle down effect of cart abandonment, what are some of the strategies to recover otherwise lost customers? Understanding where users are falling off track in the purchase journey can help uncover and solve user pain points. Implementing webhooks to track user events and trigger reactions helps you tackle cart abandonment. For example, if the cart is abandoned, a push notification is immediately sent to incentivize order completion. If the push notification fails, a fallback email is sent with the same goal in mind. If no action is taken within 2 days, another push notification is sent. These automated event triggers can be effective reminders for distracted customers or those who simply need time to research before they purchase. Segmenting users based on recency, frequency, and monetary value allows the mobile marketer to score each group of users on whether they are at risk of churning, need attention, or are already loyal customers. RFM analysis allows you to prioritize your marketing expenses and focus engagement efforts on the users that are at risk and need attention. Meanwhile, retention efforts can be dedicated to the potential loyalists and current champions. Running retargeting ads on other channels can be effective at bringing users back to the app and incentivizing more engagement. The increased brand awareness and perceived brand equity of your company resurfacing in the potential customer’s day can increase their chance of completing a purchase. For mobile marketers, abandoned cart reminders can come in many forms: push notifications, email reminders, in-app messages, SMS marketing, and more. Try to win back your customer before they even leave. When users have signaled their intent to leave the cart (for instance, the user’s mouse approaches the browser’s close button) the cart saver pop-up is sent as a last-ditch effort. This is a great opportunity to offer a discount for the price-sensitive people that would otherwise have abandoned the cart to reconsider. These are a few of the tools the mobile marketer has in their arsenal to defend against cart abandonment. Implement these tips for reducing the rate of cart abandonment in your web and mobile strategy for a boost in overall user retention. 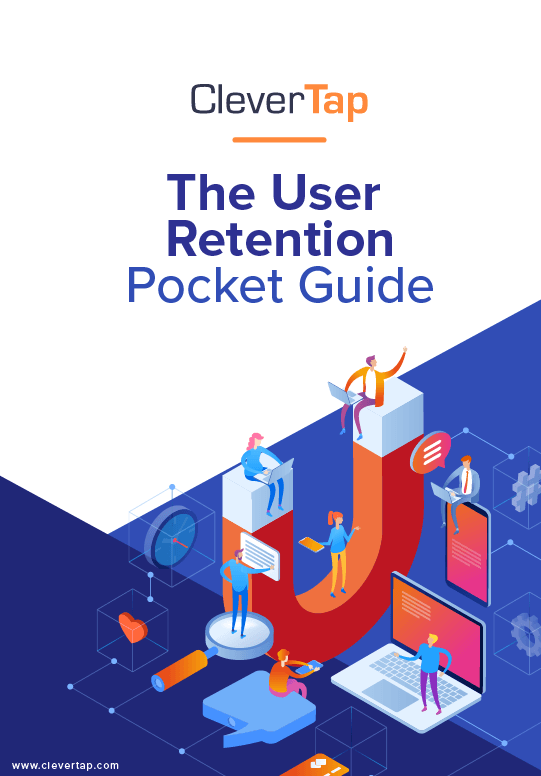 For even more user retention strategies, refer to our pocket guide to user retention.